The perfect place to satisfy your Asian food craving. Whether you are planning to go out to eat or just want to order in and enjoy it from the comfort of your home, Szechuan Cafe is the best choice for a quick and delicious meal. Customers love that even though it’s prepared quickly, its still high-quality food served by a polite wait staff. 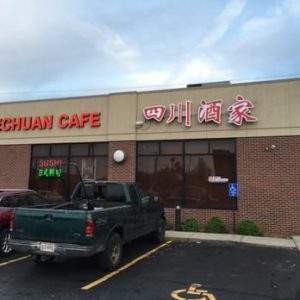 Located in the historic Cleveland Chinatown neighborhood, Szechuan Cafe has some stiff competition. 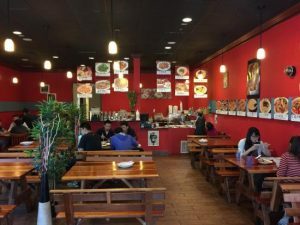 Authentic Asian restaurants line the streets of this area but what Szechuan Cafe has managed to do to set themselves apart is to master the challenging task of serving really good food, quickly. A lot of the time, it feels like you must sacrifice quality to stay within a short preparation time or vice versa. Szechuan Cafe has managed to master it and it’s doing wonders for them. 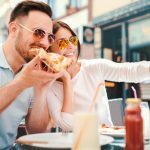 The menu is large and at a first glance can seem a bit daunting, but the wait staff is more than happy to help you sift through the options to find exactly what you want. Many regulars mention that the service is the second most important quality to them (after food quality). The entire staff shows that they care about more than just making food for you. Of course, they want you to enjoy the food, but they also want you to enjoy your time at the restaurant. Creating a full experience is in their list of priorities and it shows. The menu has all the classic Asian dishes that you know and love as well as some more eclectic options that will have the adventurous eaters in your life on cloud nine. Highlights include the “Chicken with Mixed Vegetables” for $10.95, the “Moo Shu Pork” for $10.95, the “Szechuan Pepper Dice Fish” for $23.95 and the “Lamb Cuminum Cyminum” for $10.95. Overall, this is one of the best spots in Chinatown for authentic Asian. While they do have a lot of tough competition, they stand apart due to the fact they really put their customers first and get them in and out quickly while still genuinely caring about their experience and needs. Szechuan Cafe is open seven days a week from 11 am to 10 pm. They offer dine-in, takeout, and delivery during these hours as well. Online ordering is available through Skip The Dishes. Stop in at the Chinatown location at 2999 Payne Ave. #142, Cleveland, OH 44114. Contact the restaurant by phone at: (216) 515-1111 or visit their website for more info here.